Two birds meet for a bit of conversation, framed by oak leaves and acorns. 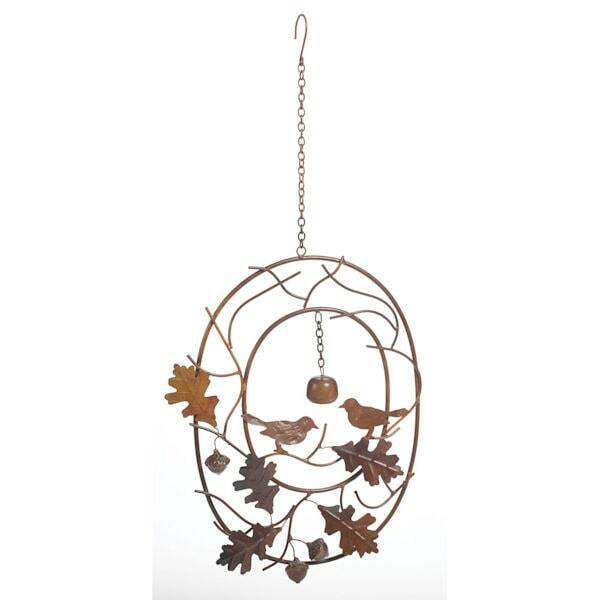 Spinning slowly in the breezes, dinging softly, this is a beautiful addition to your yard or garden. 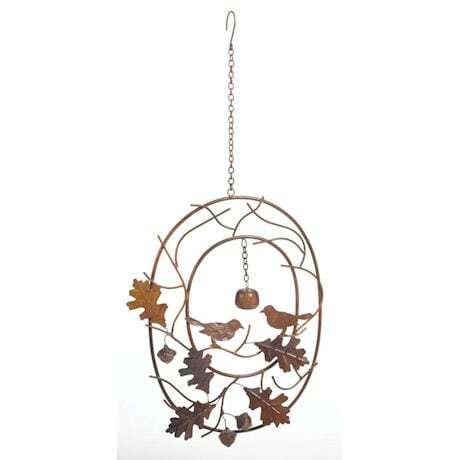 Steel with a flamed copper finish, it comes with a 10" hanging chain. 11" wide, 15" high.